Apart from being a tourist destination, Johor is also well-known for international schools in Malaysia. There are currently 18 international schools in Johor and half of them are located in Johor Bahru and a number of the private schools here, offer international syllabus such as the American Curriculum, British Curriculum and Cambridge Curriculum. Several schools also offer the Singapore Curriculum when it comes to Science and Mathematics subjects. Many international schools in Johor also offer boarding facilities. 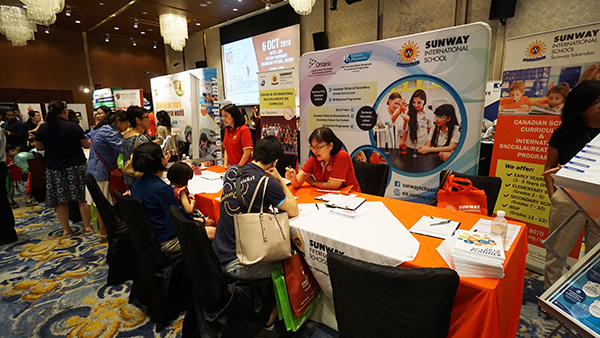 Organised by Mint Communications, the 8th Private & International School Fair in Johor will be held on 13th April 2019 at Renaissance Johor Bahru Hotel. According to Nickie Yew, co-founder and director of Mint Communications, “Due to popular demand, we have added a second fair in Johor in 2019, this time in Johor Bahru. I hope parents will find the information they need from our exhibitors in order to make the right schooling choices for their children”. The fair will feature leading international schools in Johor such as Crescendo-HELP International School, Excelsior International School, Fairview International School, Orbix International School, Paragon Private & International School, R.E.A.L Schools, Raffles American School, Shattuck-St. Mary’s Forest City International School, Sunway International School, Sunway Iskandar and Uniworld International School, among others. In addition, preschools such as Aster International Preschool, MindChamps and Stellar Preschool will be present at the fair. The fair will also feature Newcastle University Medicine Malaysia (NUMed), St George’s University from Grenada, Hillside World Academy from Singapore, MCM Studio and University Book Store Malaysia. NUMed will be present to promote their foundation programmes whereas St George’s University will be promoting their courses in medicine, arts and sciences. In addition to speaking to international school representatives, visitors will be able to purchase the 2018/2019 edition of Education Destination Malaysia; the annual comprehensive guide to international schools in the country. The guidebook contains detailed information on schools, useful articles, insightful advice and comparative charts to help parents search for a suitable school for their child. Admission is free. Please register online at www.pisf.asia to receive updates about the event through email.